Rumour is that Ayuda Media Systems have been working on this in silence for the last 12 months. We think that it is pretty transformational for them and it is likely one of the most important initiatives that they’ve ever worked on. What they announced at #dse2015 are multiple new product additions to its already extensive ‘platform’ that will help DOOH media owners embrace new programmatic revenue streams while (seemingly) exerting total control on the sell side. Andreas Soupliotis, Founder and CEO of Ayuda told us “We are evolving from an OOH ERP platform to a supply-side-platform (SSP). This change touches all of our products – from proposal generation, to CMS and digital playback, right up to invoicing”. 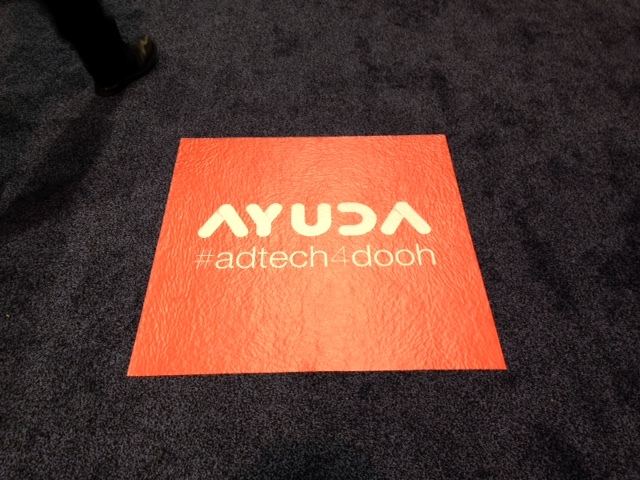 The new product announcements effectively ‘programmatically enable’ the Ayuda Platform. The supply-side-platform allows their clients (the sellers) to create packages of targeted impression inventory that can be published to one of four, distinct private marketplaces: a premium guaranteed marketplace, a deals marketplace, a performance-based marketplace, and an auction marketplace, all of which are controlled and operated by the seller. The deals marketplace allows the seller to create deals, such as ‘pay a discounted CPM for three times as many impressions’. The performance-based marketplace is based on Ayuda’s patented Pay Per Look algorithms, where an indoor media seller can set up a rate card based on how long people look at the ad. The last marketplace, the auctions marketplace, allows the seller to set up a real-time bidding (RTB) marketplace and uses a seller-operated private ad exchange with soft and hard auction floor pricing control. In addition to offering private marketplaces and private exchanges for media sellers, the Ayuda Platform will also offer a seller-branded iPhone and iPad app that media buyers can use to buy programmatically, directly from the media sellers’ private marketplaces. It should be noted that this is all VERY different from what any of their competitors have done – most of them have performed a simple ‘connect’ API integration with programmatic companies. In contrast, Ayuda have built, from the ground up, a full, private ad tech stack for media sellers with private marketplaces, private exchanges, and a direct iOS buying app. That is truly impressive! 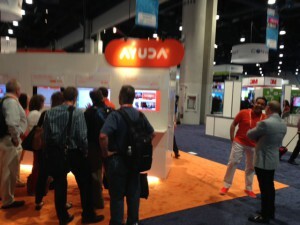 I think that Ayuda probably listened to their clients, and as they were present at some of my presentations during the last 12 months (FEPE event in Vienna in particular) perhaps they also listened to me, who no doubt told them that “programmatic RTB is scary – it risks driving down our CPMs”. It looks like Ayuda have responded and I’d fully expect to see the major DOOH operators offer private marketplaces in the next year – they certainly now have the products to help make it possible! This entry was posted on Friday, March 13th, 2015 at 12:17 @553 and is filed under Scuttlebut. You can follow any responses to this entry through the RSS 2.0 feed. You can leave a response, or trackback from your own site.